I can't tell you how happy it makes me feel to have Spring/Summer products land on my desk. 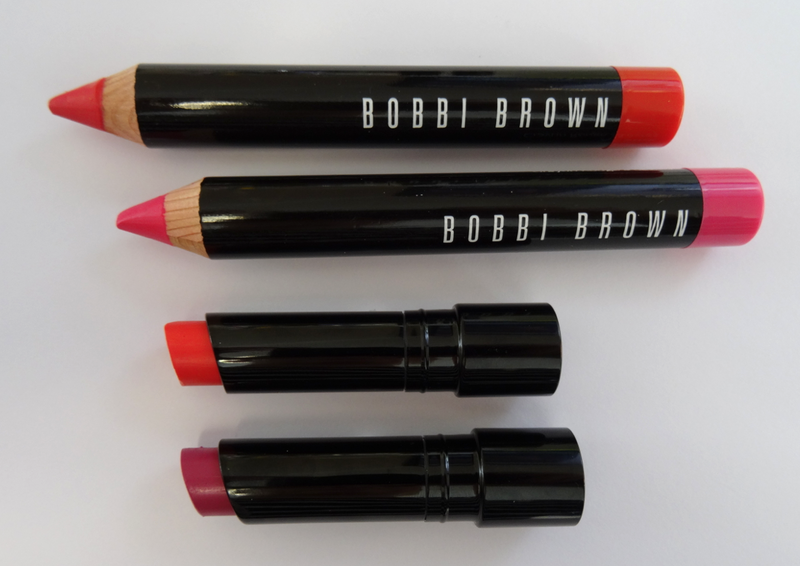 Bobbi Brown's latest is the quintessential Summer collection. You must have seen the gorgeous Kate Upton representing Bobbi Brown recently? Well the latest collection is inspired from her hometown in Florida. 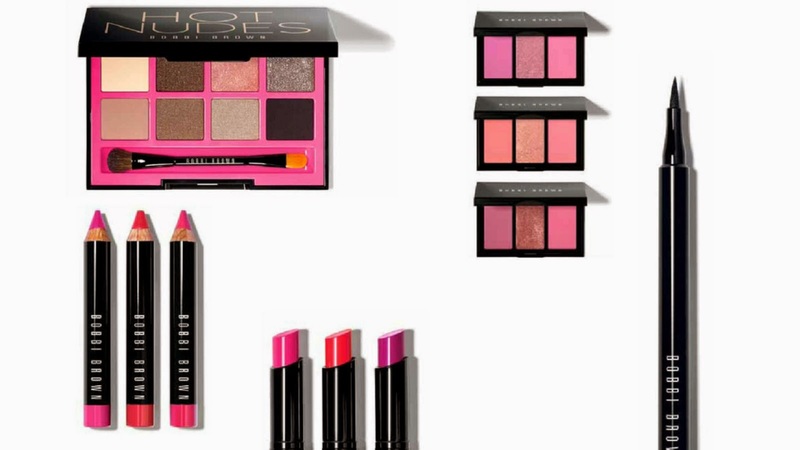 The collection compromises an eyeshadow palette and beautiful (if you like pink) cheek palettes. 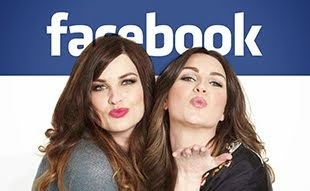 We have a selection of the lip products to show you. The Art sticks are awesome. Essential handbag and travel bag products. The three shades in this collection are shade extensions to their current lineup. If you haven't tried the Art Sticks they are thick chunky pencils. 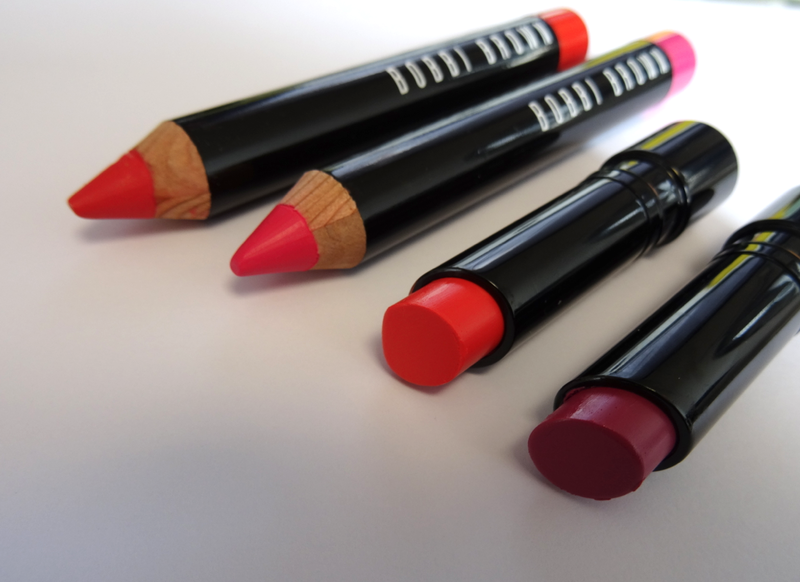 Their formula is creamy and smooth and gives a fantastic bold colour payoff. The good thing about these pencils is the nib can be sharpened to a fine point which fits into the corners and shape of the lips. You will need a large chunky pencil sharpener to keep the fine point. We have two of the shades in Hot Orange and Hot Pink. No need to build this colour up. One sweep and you have an intense lip colour. These feel comfortable on the lip with no dryness. They give a satin finish to the lip. The colour does transfer easily but it's not a massive drama to whip it out of your bag and touch up quickly. 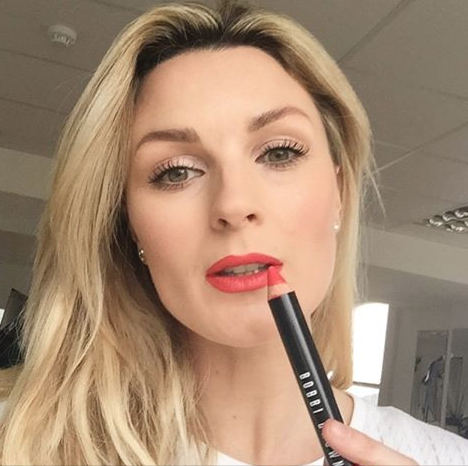 The lipsticks are from the Sheer Lip Colour range and again are shade extensions. These still have the bold undertones but the moisture in them sheers them down. Good if you want a colour but without the intensity. All of these products are £19.50 each. The Hot Collection is available exclusively to Selfridges from mid February and nationwide and online from 27th February.